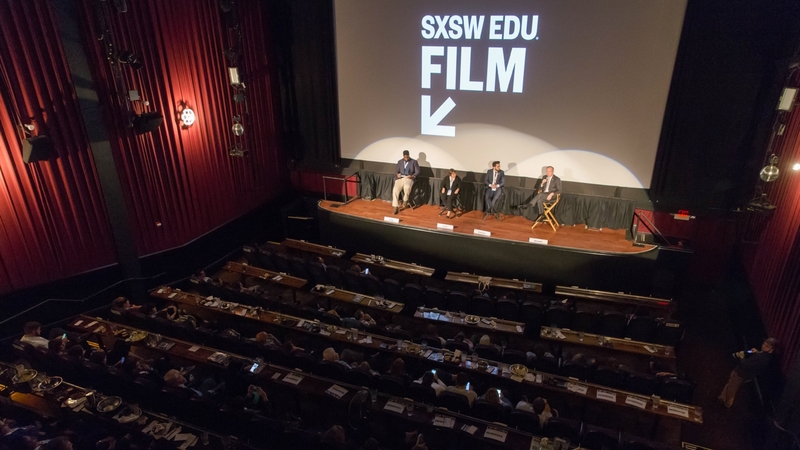 SXSW EDU celebrates the power of film to explore critical topics and issues impacting education with screenings and Q&A discussions. Submit a film submission for the 2019 Conference & Festival by completing the application below. Over the years, filmmakers, producers and community members have submitted many great films for consideration to screen at the March event. Check out the SXSW EDU film history page to browse a complete list of films that have screened in past years or check out the film FAQ for a listing of frequently asked questions and answers. For additional questions about screening, email programming@sxswedu.com. Apply for consideration, by submitting the form below. The deadline to Submit a film is 11:59pm PT on Tuesday, December 4, 2018. SXSW EDU 2018 film screening of Fail State. Q&A featuring (l-r) Ernest Ezeugo, Martha Kanter, Alexander Shebanow, and F. King Alexander.